A new Trojan that targets Apple's OS X platform poses as a legitimate application that can be used to download audio and video. This week security firm Intego warned users about the new Trojan, which it considers to be a "low-risk" threat. 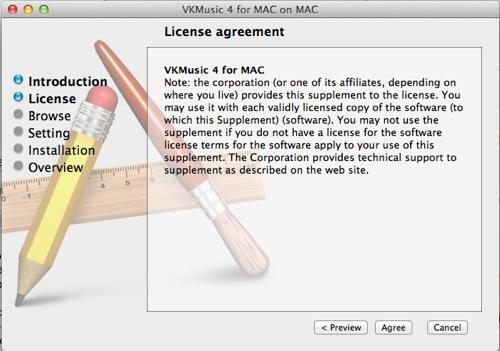 The Trojan disguises itself as VKMusic App, which, in its legitimate form, is used to download audio and video from sites like YouTube and Vimeo. The Trojanized app bundle is a large 48-megabyte download padded with extraneous zeroes to reach that file size. The threat is considered low-risk because users must install it, enter their mobile phone number, and then reply to an SMS text with a confirmation code. The threat, identified as OSX/SMSMonster.A, is blocked by Apple's Gatekeeper built in to OS X 10.8 Mountain Lion, as well as Intego's VirusBarrierX6.